How can different operators have their networks in the same geographic area and how do they prevent their subscribers from registering in a different network? What is the GSM network architecture? What is the function and specifics of the various network elements including the SIM and the mobile station? What is a hierarchical network architecture? What are umbrella cells? What is a location area? What is the meaning and differences of the various GSM identifiers like IMSI, IMEI, LAC, BSIC, CGI and so on? How is the GSM radio interface organized? What are TDMA and FDMA? Why does GSM require different burst types? What is their function? On which channels are they used? What is the meaning of the stealing flags? 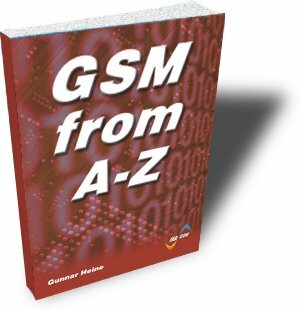 What is the difference between logical and physical channels in GSM? What is the function of the different channel types? What is the goal of channel coding and interleaving and how does it work in GSM for the different channel types? How do Authentication and Ciphering work in GSM? What are the functions and differences of DTX and DRX in GSM? What is the content of measurement reports? How does call establishment work in GSM? How is a certain channel type selected in case of speech or data transmission? Design Engineers of GSM network equipment and GSM mobile stations. Network Planners who need to build joined GSM networks. Field and test engineers who have to learn GSM operation and procedures.